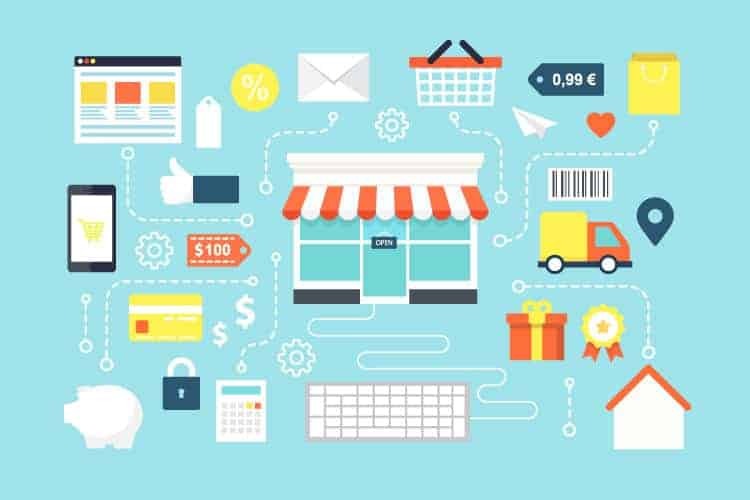 For some companies, e-commerce is the primary channel for distributing their products and services; others utilize e-commerce as a support for their traditional activities. Whatever the case is, the sole aim is to make a profit and meet marketing goals. Of course, like every business activity, the success of e-commerce is not offered on a platter of gold. More companies are venturing in and working hard to seize the profit-making opportunities the internet offers. At the end of each day, the e-space grows a bit more crowded; one individual or company joins the online community and leaves the digital world even more competitive. To thrive in this atmosphere, you should ensure that your efforts are channeled towards the right direction. If you are looking towards achieving better e-commerce results, you have come to the right place. These tips would come in handy. For e-commerce activities, all road leads to your website. While every other part of your e-commerce campaign is susceptible to frequent changes, your web address is permanent. A website is the cornerstone of any e-commerce strategy and so, to create a marketable web presence, you should consider having an excellent website design. Avoid having cluttered pages. Having a website with easy navigation encourages customers to follow through. Where there are hitches, customers have a tendency to abandon the process and go on with their lives or possibly land into the hands of a competitor. The watchword is ‘keep it simple yet appealing. You might need a web development company for this. Having effective SEO (Search Engine Optimization) techniques are needed to get more customers to your website. Websites that have higher rankings are seen by a larger number of people. SEO involves creating a website in a way that the traffic to your website is increased through search engine results. SEO entails several techniques. Some of these techniques include; editing website content, generating relevant keywords for your content, increasing links from other websites to your web pages, restructuring your website, and making coding changes. It is advisable to involve a web development company because while you can implement some of these techniques, applying other techniques would require expertise. Web development companies provide services that include web design, content development, and network security configuration. Also, earning appropriate links for your website can help to increase your ranking in search engines. As traffic on your page is boosted, your online store becomes more visible thus, increasing the likelihood of purchases from your e-commerce store. Search engines use the content of your website for ranking while visitors use the content to determine value. To this effect, it is vital to have a well-crafted content that can appeal to customers and can also boost your ranking on search engine. When creating your content, it is necessary to consider the tastes of the individuals that fit into your target market. The quality of your content can determine if visitors would go ahead and purchase your products; bland website designs might not convince visitors to stay a minute longer on your page. Since they cannot touch your products, quality images are needed to perfectly represent your products. You can recreate your content into different forms; videos, infographics, images. A variety of formats would help you to foster understanding among a broader audience. The ultimate goal is to increase sales and make a profit while delivering valuable goods. This should spur innovativeness. You can add the “What’s New” tab in your online store. With this feature, your customers get to see your new products without going through the old ones. Using concise details, an ad is an opportunity to sell your brand and convince people to purchase your product. Social media is a good platform to market your products. A lot of your potential customers spend their online time on social media. The ads you place on social media should be able to pique people’s interest by being entertaining and yet informative. They should contain great headlines that help to capture and retain the attention of the audience. A successful ad relates to the customer. The words you choose have a part to play. Choose words that are associated with emotions. Your choice of colours is also important. Usually, people remember images more than what they read; ensure that the images in your ad can attract more quality leads to your eCommerce store. Adding free features to your e-commerce activities can boost sales. However, you should tread this path cautiously so as not to run into losses. Free features can come in form of free shipping, offering to give an extra product or discount rates where a large number of items are purchased, offering coupons. This offers you an advantage over your competitors. After putting in so much effort to increase your e-commerce activities, it is advisable to find out what is working and what is not. This is a brilliant way to indicate where to channel your efforts and where to take corrective measures in order to fix glitches. There are several ways to achieve this. Pay per Click (PPC) ads are a solid strategy that can be utilized. They refer to an advertising model where a publisher is paid for each click on the HTML link of the advertiser. Data collected from this can help you know what features generate more sales. Some social media platforms provide statistics for the ads placed on their websites. Feedbacks from customers could make or mar your e-commerce efforts. Since you are working hard to give quality products and maximize sales, you can expect favorable feedbacks. Product reviews are another form of advertisement. They give you an insight on the preference of your customers as regards further modifications or new product lines a company can dive into. Favorable product reviews convince new customers to trust your brand and place their purchases. Maintaining a good relationship with customers creates a good reputation and fosters new customer relationships. The e-space is growing crowded daily and so whether you are new to online business or you have been around, you would need these tips in order to make a profit through e-commerce activities.